As preferred suppliers of car rental services to GW employees, National Car Rental and Enterprise Rent A Car are dedicated to supplying service to GW employees that surpasses industry standards and exceeds traveler’s expectations. GW employees can also enjoy all of the special services of the Emerald Club, which is the premier counter-bypass program that gives our travelers special recognition, service and speed. Bypass the counter - Bypass the rental counter and go directly to the Emerald Club Aisle® at more than 50 major airports in the U.S. and Canada. Speed up returns with an E-Receipt - There's no need to wait around for a piece of paper when you return your car. Sign up to receive this benefit and we will automatically email your receipts to you within 24 hours of each returned rental. Enroll now in the Emerald Club for complimentary enrollment and start receiving your premium car rental service. Earth friendly practices that include recycling of trash, utilizing biodegradable key cards, natural compound based cleaning products and depletion based amenity restocking. Green design and construction including redevelopment of sites in city centers near public transportation, adaptive reuse of existing buildings, and LEED certified construction of new hotels since 2008. 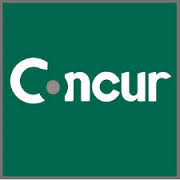 The Procurement Department has partnered with Concur Inc., through implementation of their flagship software, Travel and Expense Reporting tools. This technology enables GW to realize savings through the use of Concurs booking tool and manage the university’s business travel expense reporting process electronically to eliminate the need for paper reporting. Amtrak, a supporter of Sustainability @ GW, is a GW preferred supplier for rail travel. Through a new partnership between Amtrak and the Carbonfund, a GW traveler can offset the carbon emissions footprint generated by their individual rail travel by making a voluntary contribution to Carbonfund. As a partner with Carbonfund, Amtrak has joined numerous organizations and companies, along with other Carbonfund partners Discovery, Dell, Orbitz, Lancome, and Environmental Defense, working to create a lower carbon world. By supporting the projects of Carbonfund, passengers can support the reduction of carbon dioxide emissions equal to their carbon emissions. Carbonfund projects focus on three areas: renewable energy, energy efficiency and reforestation. To contribute to this initiative, passengers can log onto Carbonfund and choose from one of two affordable options. Selections start at only $3.00, a contribution that offsets 2,500 miles of Amtrak travel, or almost three round trips between Washington and Boston. All contributions are tax deductible and may be made online. Passengers may request that their donation support a specific offset type, such as tree planting, or choose to just make a donation towards the efforts of Carbonfund.